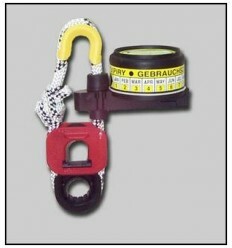 REVERE LEISURE & YACHTING LIFE RAFTS There are 32 products. Revere Life Rafts Coastal Elite Life Raft 4 Person Container [45-CE4C] FREE SHIPPING TO LOWER 48 STATES ON THIS ITEM Looking for the best Coastal liferaft available today? Look no further. The Revere Coastal Elite has every bell and whistle possible and is the lightest weight raft in its class starting at just 62 lbs! Revere Life Rafts Coastal Elite Life Raft 4 Person Valise [45-CE4V] FREE SHIPPING TO LOWER 48 STATES ON THIS ITEM Looking for the best Coastal liferaft available today? Look no further. The Revere Coastal Elite has every bell and whistle possible and is the lightest weight raft in its class starting at just 45 lbs! Revere Life Rafts Coastal Elite Life Raft 6 Person Container [45-CE6C] FREE SHIPPING TO LOWER 48 STATES ON THIS ITEM Looking for the best Coastal liferaft available today? Look no further. The Revere Coastal Elite has every bell and whistle possible and is the lightest weight raft in its class starting at just 67 lbs! Revere Life Rafts Coastal Elite Life Raft 6 Person Valise [45-CE6V] FREE SHIPPING TO LOWER 48 STATES ON THIS ITEM Looking for the best Coastal liferaft available today? Look no further. The Revere Coastal Elite has every bell and whistle possible and is the lightest weight raft in its class starting at just 50 lbs! Revere Life Rafts Coastal Elite Life Raft 8 Person Container [45-CE8C] FREE SHIPPING TO LOWER 48 STATES ON THIS ITEM Looking for the best Coastal liferaft available today? Look no further. The Revere Coastal Elite has every bell and whistle possible and is the lightest weight raft in its class starting at just 73 lbs! Revere Life Rafts Coastal Elite Life Raft 8 Person Valise [45-CE8V] FREE SHIPPING TO LOWER 48 STATES ON THIS ITEM Looking for the best Coastal liferaft available today? Look no further. The Revere Coastal Elite has every bell and whistle possible and is the lightest weight raft in its class starting at just 56 lbs! Revere Life Rafts FREE SHIPPING TO LOWER 48 STATES ON THIS ITEM The Offshore Commander provides the same durable quality as the Coastal Commander, now available in version for offshore boating.The Offshore Commander is the latest in affordable, offshore liferafts by Revere that won't "break the bank" and give you the peace of mind you WILL be safe at sea! Revere Life Rafts 45-OE4C FREE SHIPPING TO LOWER 48 STATES ON THIS ITEM Looking for the best offshore liferaft available today? Look no further. The Revere Offshore Elite has every bell and whistle possible and is the lightest weight raft in its class starting at just 71 lbs! Revere Life Rafts REVERE Offshore Elite Life Raft 4 Person Valise [45-OE4V] FREE SHIPPING TO LOWER 48 STATES ON THIS ITEM Looking for the best offshore liferaft available today? Look no further. The Revere Offshore Elite has every bell and whistle possible and is the lightest weight raft in its class starting at just 54 lbs! Revere Life Rafts REVERE Offshore Elite Life Raft 6 Person Container [45-OE6C] FREE SHIPPING TO LOWER 48 STATES ON THIS ITEM Looking for the best offshore liferaft available today? Look no further. The Revere Offshore Elite has every bell and whistle possible and is the lightest weight raft in its class starting at just 81 lbs! Revere Life Rafts 45-OE6V FREE SHIPPING TO LOWER 48 STATES ON THIS ITEM Looking for the best offshore liferaft available today? Look no further. The Revere Offshore Elite has every bell and whistle possible and is the lightest weight raft in its class starting at just 63 lbs! 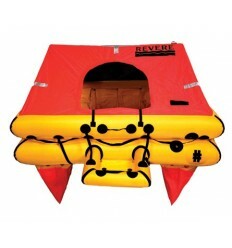 Revere Life Rafts REVERE 45-OE8C FREE SHIPPING TO LOWER 48 STATES ON THIS ITEM Looking for the best offshore liferaft available today? Look no further. The Revere Offshore Elite has every bell and whistle possible and is the lightest weight raft in its class starting at just 88 lbs! 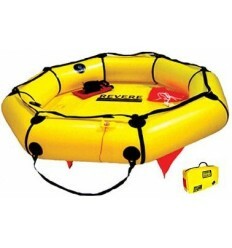 Revere Life Rafts 45-OE8V FREE SHIPPING TO LOWER 48 STATES ON THIS ITEM Looking for the best offshore liferaft available today? Look no further. The Revere Offshore Elite has every bell and whistle possible and is the lightest weight raft in its class starting at just 72 lbs! Revere Life Raft Cradles 45-OO4CRAD Cradle and hydrostatic release that fits the Revere Offshore Commander 4 and 6 person life raft. White, powder coated aluminum. 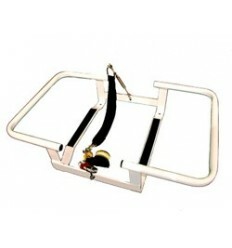 Revere Life Raft Cradles 45-OO8CRAD Cradle and hydrostatic release that fits the Revere Offshore Commander 8 person life raft. White, powder coated aluminum. 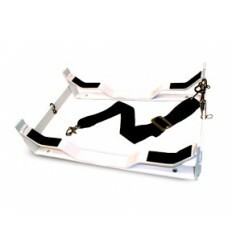 Revere Life Raft Cradles 45-COCOCRAD Cradle and hydrostatic release that fits the Revere Coastal Commander 6 person life raft. White, powder coated aluminum. Revere Life Raft Cradles 45-OE4CRAD Cradle and hydrostatic release that fits the Revere Offshore Elite (4 person/4-8 person Coastal) life raft. White, powder coated aluminum. Revere Life Raft Cradles Offshore Elite Cradle 6-8 Person [45-OE6CRAD] Cradle and hydrostatic release that fits the Revere Offshore Elite 6-8 person life raft. White, powder coated aluminum.